Are you heading out on a day trip or maybe just a few hours away for a quick weekend getaway? I have some short audio books to help you pass the time until your destination. 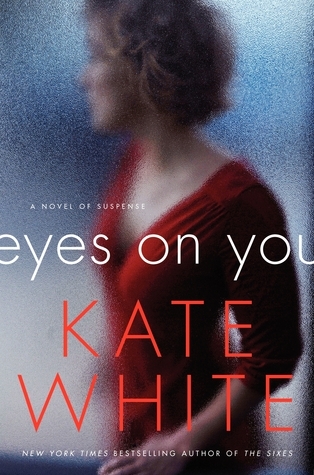 At just around 9 hours, Eyes On You by Kate White would make a great audio book for your weekend getaway. It started out a little slow but it was like a snowball and by the end I was so invested in the story that I didn't want to stop listening. I was suspicious and paranoid of everyone in the story. Who's out to get Robin? Robin is a television co-host who is just starting to get her career and life back on track when strange things start happen. Does she have a stalker or is she doing it to herself for the attention? 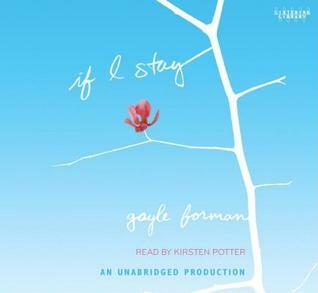 Have you seen the movie If I Stay? This is the book the movie is based on. If you are looking for something a bit more artsy for your road trip, then check out this one. There is a bit more detail in this 5 hour audio book than made the movie cut so even if you some in the car has watched the movie and others haven't, there will be something new for everyone. Mia is a gifted cellist, she has a great family, a great boyfriend when everything changes. A car accident leaves it all hanging in the balance. 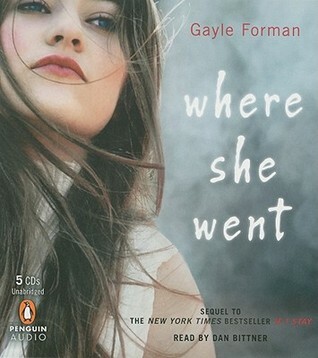 There is a follow up novel to If I Stay, Where She Went. I actually liked this book a bit more. It is told from Adam's point of view and I really like him. Again this is a short book (5 hours 21 minutes) so perfect for a day trip out of town. We get to catch up with Mia and Adam and how life turned out for them. With a title like Where She Went I thought it would be from Mia's point of view so having it from Adam's was a nice surprise. I liked getting inside his head. Are you having a Girls' Weekend? Then this romance may be the perfect pairing for the car trip. 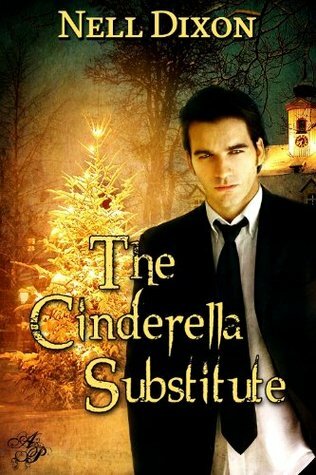 The Cinderella Substitute by Nell Dixon. It is a REALLY short story - only 3 hours 24 minutes long. We are kind of dropped into the story of Jenni and Nate. Jenni is Nate's personal assistant but it isn't a creepy love story in that sense. It is more that they have both been focused on their own life and just haven't noticed one another in that way, but when they do the romance is a bit of a whirl wind. I thought the story was a little bland and could have been fleshed out a bit more. But it could be a fun thing to listen to with the girl friends. Got kids in the car? 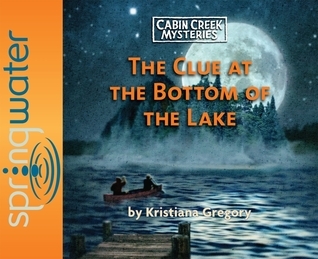 Then I recommend The Clue at the Bottom of the Lake by Kristiana Gregory. It was a fun little story (1 hour 40 minutes) that will keep the entire family entertained. It reminded me of Encyclopedia Brown or The Bobbsey Twins.